'Until yesterday the Centennial Park was, even to Sydney residents, almost a "terra incognita", heard of only dimly, through the occasional reports which have appeared in the press with regard to the progress of the work; but now, for the first time, the public, who after all really pay for the park, have been admitted to full and free possession of their great national property'. 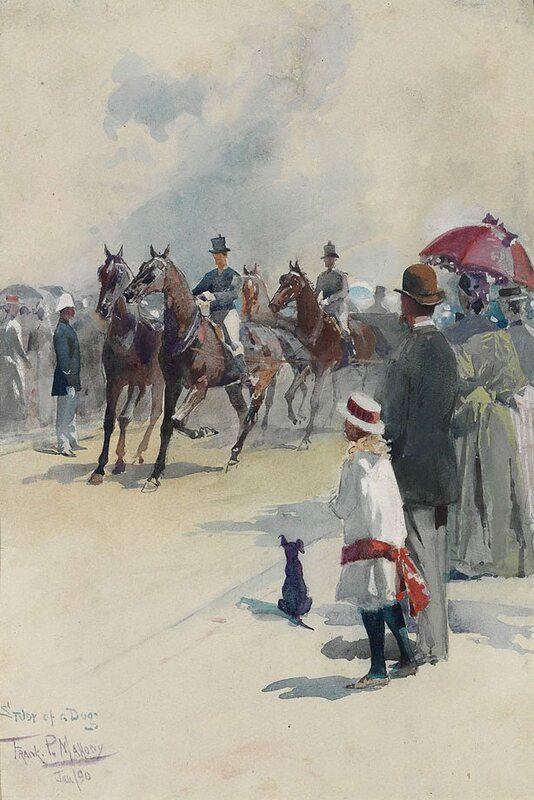 This drawing was once owned by CES Tindall (1863-1951), a watercolourist best remembered fro his marine paintings. Signed and dated l.l., mauve watercolour "FRAnk. P. MAHONY/ Jan/90". Hendrik Kolenberg, Look , 'Australian images from the past: whether rarely seen or familiar, these works move and delight us', pg. 24-27, Sydney, Apr 2005, 26 (colour illus.). 19th century Australian watercolours, drawing and pastels from the Gallery's collection , Sydney, 2005, 96, 97 (colour illus. ).